On Tuesday, March 28, 2017, we drove curvy little Washington State Route 506 from end to end. Beginning at Ryderwood, thence by way of Vader northeasterly to a junction with state route number 5 west of Toledo. 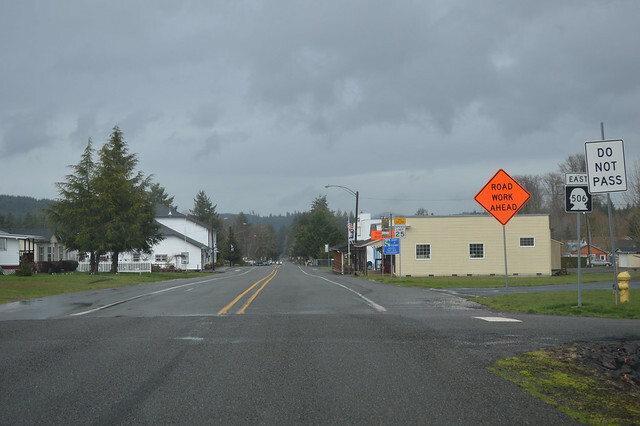 Once upon a time, the town of Ryderwood was a company logging town. Now it's a 55+ retirement community. "Golfcart zone"! After the straight start, Highway 506 quickly becomes a narrow, twisty road as we head down the valley known as Cougar Flat. Young trees hug the fog line, farms and forest all around. We cross the railroad tracks and arrive at the old town of Vader. 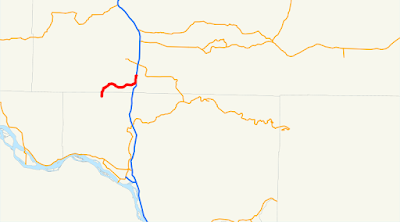 We continue east through the farmland and along the Cowlitz River. Cows ignore us. 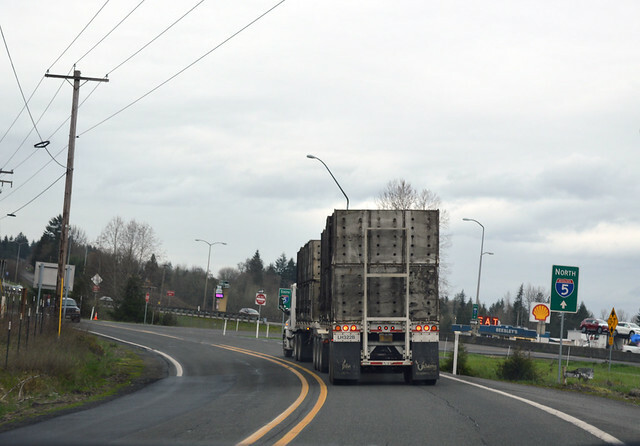 We follow a semi-truck of chickens as we reach an interchange with I-5. 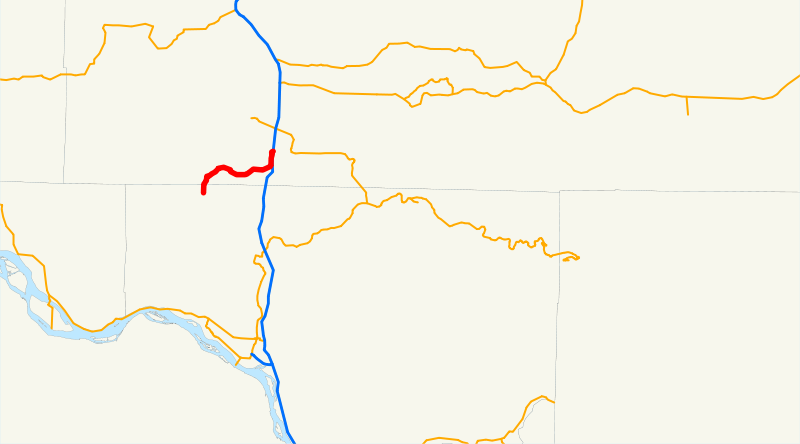 Our highway then turns north and runs parallel with the freeway for a couple miles, before curving away, then crossing above I-5 to reach the end of Highway 506. 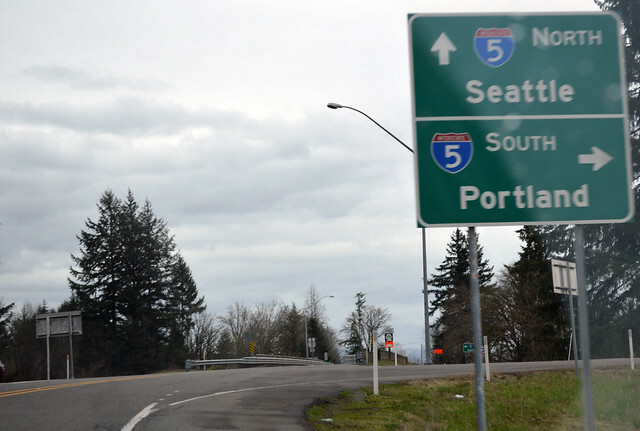 It makes sense when you realize that our highway is older than I-5. 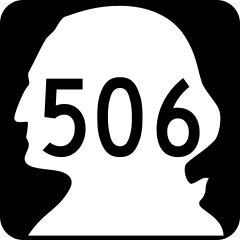 SR 506 used to be Secondary State Highway 1-P, the Toldeo-Vader Road, but the section from here east to Toledo is no longer a state highway. Thus we are done. Another quick but slow drive in rural western Washington.